The Smith House. Richard Meier's architecturally significant design, Internationally acclaimed, and winner of the American Institute of Architects prestigious Twenty-Five Year Award, "only given to a building that has stood the test of time for 25-35 years and continues to set standards of excellence for its architectural design and significance." 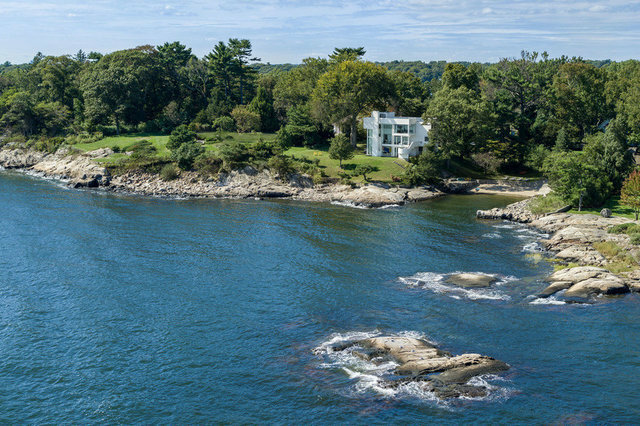 Built on a rocky bluff and sited to incorporate the natural light and frame the views of sea and sky, land and water. This iconic residence features a private beach and sandy cove, and is located within the Tokeneke Association.